One very busy day near the end of Jesus’ second year of public ministry, the whole character of His teaching changed. The continual rejection of His teaching by hostile Pharisees triggered a massive and sudden shift. He stopped preaching straightforward sermons peppered with key prophetic texts from the Old Testament. From that point on, whenever He taught publicly, He spoke in parables. While parables can help illustrate and explain truth to anyone who listens with an hear of faith, their primary biblical function is to conceal truth from unwilling and unbelieving auditors—by neatly wrapping the mysteries of Christ’s kingdom in familiar symbols and simple stories. This is not an incidental point. It was Jesus’ own declared purpose to “utter things hidden.” Everything He taught from that day forward would be concealed from everyone except those with ears to hear. No one would be mystified by the story itself. For Jesus’ actual listeners, living in an agricultural society, this was everyday life. But beneath the familiar expressions lay profound truths still concealed from the casual listener. The Parable of the Sower, as it is popularly known, is a simple story whose meaning on the surface is not the least bit mysterious. But following the narrative of the story isn’t the same as understanding its relationship to the kingdom of God. The true significance of what Jesus is teaching is not immediately obvious. The parable needs to be explained. Jesus urged His hearers to investigate the true meaning of the parable. That is made clear by a statement in the second half of Luke 8:8: “As He said these things, He would call out, ‘He who has ears to hear, let him hear’”—implying that as He told the parable, He stressed more than once the need to pay attention, listen with a believing heart, and look beyond the surface for the true meaning. In fact, that Luke 8:5–8 is commonly known as the Parable of the Sower highlights why it needs careful explanation—the story isn’t about the sower. 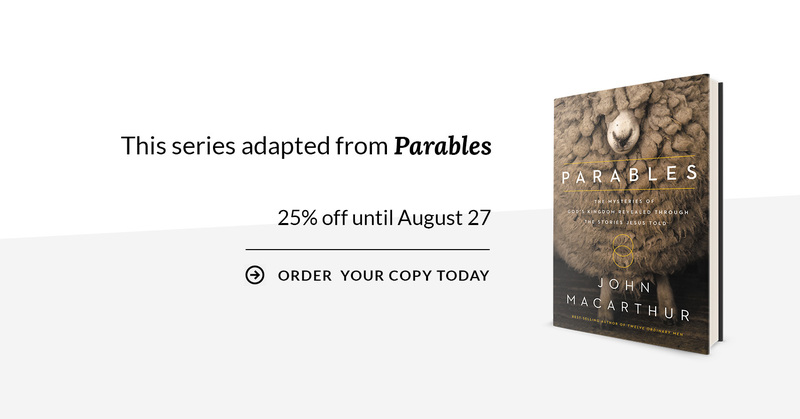 As the Lord explained to His diligent hearers (Luke 8:11–15), the parable is a timeless pattern for New Testament evangelism. While the truths are not overly complex, failure to properly understand and apply the parable has spawned no end of pseudo-evangelistic mischief. In spite of the simplicity of Christ’s explanation, the church has managed to consistently convolute the message. Scripture is clear about Christ’s evangelistic theme, and the meaning behind the seed, the sower, and the soils. Where the church often errs is in viewing each component as a variable that can be altered to create different results—an interpretation that departs from the Lord’s explanation, and, as we’ll see next time, utterly upends the biblical perspective on evangelism.